Dr. Pathak received his PhD in Radiation Biology from Kalyani University (Kalyani, West Bengal, India). He served as Assistant Professor in the Radiobiology Department of Manipal University (Manipal, Mangalore, Karnataka, India). He received postdoctoral training at the Armed Forces Radiobiology Research Institute (Bethesda, MD, USA). Dr. Pathak was a Research Instructor of Pharmaceutical Sciences at the University of Arkansas for Medical Sciences (UAMS), faculty member of the Division of Radiation Health in the College of Pharmacy. Dr. Pathak’s research was focused on low- and high-LET radiation induced cytogenetic alterations in mammalian cells and understanding the molecular mechanisms of cell death during his PhD He worked in the field of radiation bio-dosimetry and radiation countermeasure during his post-doctoral training. His current research interest is radiation-induced normal tissue injury particularly radiation-induced endothelial dysfunction and genomic instability using FISH-based molecular techniques. He has extensive training and practical experience working with transgenic mouse models. His one of the major research goals is to develop radiation countermeasures that can be used in the event of accidental or incidental radiation mass casualty and find out the molecular basis of radiation protection. Photoimmunotherapy of cancer; Microorganisms & cancer; Cancer immunology; Chemokines & cancer; Immunopharmacology & Oncopharmacology; Molecular & cell biology of cancer; Cancer chemotherapy; New drug research & development; Natural products as anticancer agents; Apoptosis & cell cycle control in cancer; DNA damage repair & platinum drug resistance in carcinomas; Epigenetic modulation of DNA damage responses and DNA repair; Identification of biomarkers and epigenetic markers for diagnosis and treatment of carcinomas; Epigenetic regulation of gene expression in T cells and leukemic cells; Platinum and taxol drug resistance in lung cancer, ovarian cancer, bladder cancer, and other types of solid tumor. Dr.Yaowas born and grew in Hebei, P. R. China beforehe entered auniversity. In2000，he began to accept higher education majoringin pharmacy at Shandong University and obtained hisbachelor degree in 2004. Then he went into Professor Ying Zhong’s lab at Shandong Academy of Medical Sciences to pursue his master degree. After he completed his dissertation hegot his MS degree in medicinal chemistry in 2007. In the same year, he moved to Tianjin and worked in both Professor Shende Jiang’s lab at Tianjin University and Professor Hongquan Duan’s lab at Tianjin Medical University as a joint PhD student. In 2010, he successfully gained his PhD degree in applied chemistry. Then he moved south to Jiangsu and worked at School of Pharmacy, Xuzhou Medical College as a lecturer of natural products chemistry. In 2014, he was promoted as an associate professor. At the same time, he was appointed as a joint postdoctoral fellow in medicinal chemistry at University of Macau. His research interests were focused on the chemistry and biology of natural products which covers natural products chemistry, medicinal chemistry and chemical biology, including isolation, structure elucidation and biological evaluation of bioactive natural products from nature, natural products-based drug design and synthesis targeting biochemical pathways and signal transduction, biosynthesis and biotransformation of natural products, small molecular probes derived from natural products, interactions between small molecules and biomacromolecules. At present, he is a member of Chinese Chemical Society and serves as an editorial board member for Peertechz Journal of Medicinal Chemistry and Research and a peer reviewer for more than 10 academic journals. He has published more than 20 papers as a co-author and gets a NSFC grant as the PI. Dr. Abubakr M. Idris is associate professor of analytical chemistry. He is currently at the Department of Chemistry, College of Science, King Khalid University, Abha, Saudi Arabia. He received his BSc (1994), MSc (1999) and PhD (2005) from the University of Khartoum, Khartoum, Sudan. Idris has authored and coauthored more than eighty papers published in international refereed journals and conferences with an H-Index 15. His research focuses on developing microfluidic analytical technologies and methodologies as well as environmental analysis issues. Idris is currently the Editor-In Chief of Development in Analytical Chemistry. He joins the Editorial Boards of some other journals in analytical, environmental and pharmaceutical chemistry. Idris is also expert in academic development, accreditation and quality issues in higher education. 1. Developing microfluidic analytical techniques for fully-automated on-line procedures involving sample treatment, developing reactions and detection. 2. Developing and validating analytical methodologies for various purposes. 3. Optimizing analytical methods by chemometrics and kinetics. 4. Monitoring and assessing chemicals in the environment. 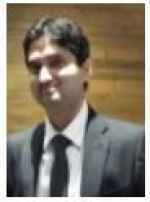 Dr Rohit Mathur has received his PhD in Biomedical Sciences at University of Delhi, INDIA. Currently, he is working as a Faculty (Instructor) in University of Texas M.D. Anderson Cancer Center. His research has focus on chemoresistance mechanisms and improvement of anti-cancer therapies. Currently he is working on Non-Hodgkin’s lymphomas and Myeloma. Based on his research and fellowship training he has received several awards and honors such as Kimberly award for leukemia research. He is serving as an editorial board member of several reputed journals like Journal of leukemia and Kenkyu Journal of Cancers & Advanced Therapies & expert reviewers for journals like Cancer Letters, Journal of Experimental & Clinical Cancer Research, etc. He has authored more than 20 research articles/book chapters. He is a member of American Association of Cancer Research, Indian Cell Biology Society and American Society of Clinical Oncology. Education: B. Pharm., 1996, Pharm. Sciences, Assiut University, Assiut, Egypt "Very good with honor"
Assiut University, Assiut, Egypt. 2010-till now Associate Professor, Department of Pharmacognosy, Faculty of Pharmacy, Assiut University, Assiut, Egypt. Dr. Devdutt Chaturvedi obtained his Ph. D. degree in Medicinal Chemistry, from the Medicinal Chemistry Division of the Central Drug Research Institute (CSIR), Lucknow, India. Thereafter, He worked as a Postdoctoral Fellow (2003-2005) at the University of Georgia, USA. Later on, he has also worked as a Postdoctoral Fellow (2005-2006) at the Institute of Organic Chemistry, University of Goettingen, Germany. He returned to India and worked shortly as a Senior Postdoctoral Fellow (2006-2007) at the Department of Chemistry, Indian Institute of Technology (I. I. T.), Madras and as a Scientist (2007-2011) at the Bioorganic Chemistry Division, Indian Institute of Integrative Medicine (CSIR), Jammu and Natural Products Chemistry Division, North- East Institute of Science and Technology (CSIR), Jorhat-785006, Assam. He has worked on several areas of organic synthesis and medicinal chemistry such as design and synthesis of novel classes of antidiabetic, antifertility, antitubercular, anti-inflammatory, hypolipedemic, anti-HIV/HBV, anti-cancer, antimalarial, antimicrobial, anti-alzheimer agents wherein he has investigated various kinds of structurally diverse synthetic/natural molecules such as steroids, terpenoids, nucleosides, structurally diverse heterocycles, carbamates and related compounds. He has published more than 70 research papers (containing more than 700 citations, with h-index = 20) in reputed international journals and filed 11 patents. M. Pharm. (Pharmaceutical Chemistry): Guru Jambeshwar University, Hisar, Haryana in 2004. B. Pharm. : Birla Constt. College, H.N.B Garhwal University (Main Campus), Uttarankhand in 2000. Details of Professional Experience: Presently working as Professor & Dean at Moradabad Educational Trust, Group of Institutions, Faculty of Pharmacy at Moradabad, U.P. since 14th June 2013. My research focuses is drug development of novel anticonvulsant and antitubercular agents. I am also preparing new analogues in an effort to develop more potent derivatives with improved pharmacokinetic properties. Work is also been done to investigate the possible mechanism(s) of action of these compounds. The research efforts combine synthetic medicinal chemistry with computational study. Ph.D - 2012- Rajiv Gandhi University of Health Sciences, Karnataka, Bangalore (Al- Ameen College of Pharmacy, Bangalore). M.Pharm- 1997- Bangalore University, Bangalore (Government College of Pharmacy, Bangalore). B.Pharm- 1994- Gulbarga University, Gulbarga. D.Pharm- 1988- Board of Examining Authority, Drugs Control Department, Bangalore. Methods to increase bioavailability of Class II and Class III BCS drugs including Nanoparticles, microparticles and liposomes; Chronotherapeutic and site-specific delivery for optimization of drug therapy and Pulmonary delivery for optimization of antitubercular therapy. Dr.mohd. Rajeeb is currently working at punjab university. His research interest includes pharmaceutical chemistry, pharmaceutical analysis. He is serving as an honorary editor for Journal of pharmacy & pharmaceutical sciences. Doctor of Philosophy (Ph.D) - Full Time, specialized in Clinical Pharmacy, Department of Pharmacy Practice, S.R.M. College of Pharmacy, S.R.M University, Kattankulathur, 603 203. (Degree awarded in 2015). Master of Pharmacy (M.Pharm), specialized in Pharmacology, from J.S.S. College of Pharmacy, Ooty under The Tamilnadu Dr. M.G.R Medical University, Chennai, during 2007-2009. (Distinction - Gold Medal). Bachelor of Pharmacy (B.Pharm) from S.R.M. College of Pharmacy, Kattankulathur, under The Tamilnadu Dr. M.G.R Medical University, Chennai, during 2003-2006. (Distinction). Principal Investigator in the study entitled, “Assessment of various second-line treatment regimens on mild to moderate persistent asthmatic patients”. Co-investigator in the study entitled, “Study on bio enhancer in the treatment of tuberculosis with Rifampicin : An evidence based update - A Randomized Controlled Trial”. Co-investigator in the study entitled, “Study on bio enhancer in the treatment of tuberculosis with Rifampicin: An evidence based update - A Randomized Controlled Trial”. Co-investigator in the study entitled, “Prevalence of MDR TB in Kancheepuram district, Tamilnadu state”. Co-investigator in the study entitled, “Efficacy of vitamin D3 in severe asthmatic patients”. Mostafa Heidari Majd. Ph.D of Medicinal Chemistry. Assistance Professor in Faculty of Pharmacy. Zabol University of Medical Science. Zabol, Iran. I am working on Nanomedicine, Drug Delivery, Synthesis of Nano drugs, Drug Complexes, Magnetic Solid Phase Extraction and etc. Nanomedicine, Drug Delivery, Synthesis of Nano drugs, Drug Complexes, Magnetic Solid Phase Extraction. Myself Dr.Syed Muzeeb an experienced DMPK and clinical Pharmacology Scientist currently working as post-doctoral Associate with Prof Hartmut Derendorf, Department of Pharmaceutics, University of Florida, United states. To give you a brief back ground of my expertise, I have 16 years of experience in pre-clinical and clinical development of discovery and development of new chemical entities. I have worked in different parts of the world during my scientific carrier. I worked for several years (2001-2009) with Department of drug metabolism and Pharmacokinetics with Dr.Reddy laboratories Ltd , Hyderabad, India (A major drug discovery and development company) involving pre-clinical and clinical development of new molecules of various class of therapeutic like anti-diabetics, anti-cancer, Anti-infectives, Anti-Inflammatory, lipid lowering agents etc. In 2009 I moved to Denmark to pursue my doctoral studies in School of Pharmacy, university of Copenhagen, Denmark. As a part of my doctoral studies I have worked in the area of drug induced liver injury (DILI) caused by reactive drug metabolites. Later I moved to unites states for my post-doctoral studies with Prof Hartmut derendorf, University of florida. Currently I am working on understanding the PK/PD modelling and Pharmacometrics area. I have 16 years of experience in pre-clinical and clinical development of discovery and development of new chemical entities. PK/PD modelling and Pharmacometrics area. Office of Pharmaceutical Quality (OPQ). Sai Prachetan Balguri obtained his Bachelor’s degree in the Pharmaceutical Sciences from the Kakatiya University, India. He carried out his PhD work in pharmaceutical sciences with emphasis in Pharmaceutics from the University of Mississippi, MS, USA. Currently, he is working as an ORISE research fellow at U.S. FDA in the office of pharmaceutical quality (OPQ). His research encompasses the expertise and experience garnered from academia, industry and agency. Sai worked on several collaborated and individual research projects awarded from National Institutes of Health (NIH) and other agencies. His research expertise is concentrated on the design and development of Novel Drug Delivery Systems for delivering oral, sub-lingual and ocular small molecule therapeutics. Design and development of patient- centric pediatric oral formulations. Nithin Boppana is currently a research analyst at Belcher Pharmaceuticals, Florida, USA. He obtained his Masters degree in Pharmaceutical Sciences from Wayne State University. Over the past 6 years, he has so far authored 10 articles in internationally peer reviewed journals and reviewed atleast 25 scientific papers. He has been awarded Thomas C. Rumble fellowship of Wayne State University, USA. Nithin Boppana serves as an Editorial board member and reviewer for different national and international journals. His research interests include different forms of cancer therapies like Chemotherapy, Radiation therapy and Photodynamic therapy. He is also interested in Oxidative stress, Inflammatory diseases and Cell death pathways like apoptosis. I have completed Bachelor of Pharmacy (B.Pharm) and Master of Pharmacy -Quality Assurance (M.Pharm-QA) and also, I have taken "Post Graduate Diploma Intellectual Property Rights (PGDIPR)". I got “Best Teaching Award” and I have achieved the award of “Best-Student of the year” for the year 2013. Recently, I got the Educational Excellence Awards, Indo-Global Education Summit & Expo 2017,The Indus Foundation, Mumbai 26.07.2017 University Award State Level Award :- Recently, I got “Pedagogical Innovation Award (PIA)” from GTU (Gujarat Technological University) Innovation Sankul Day-2016-2017, at Paryavaran mandir, Odhav ring road, Ahmedabad. 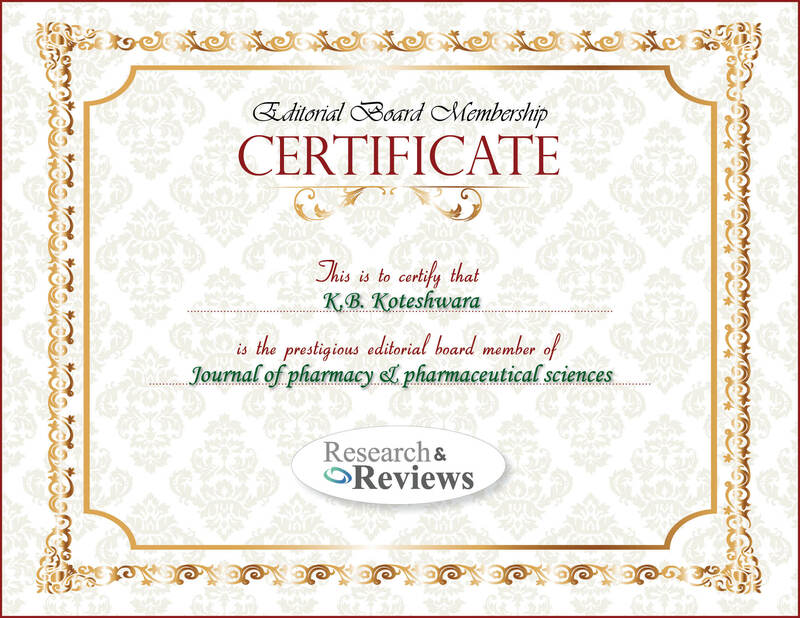 14.02.2017 and “National Award, 12th Dr.P.D.Sethi Award” :- Best Research Paper , Kongposh Publication,The Pharma Review. I got “International Young Leadership Awards-2016”-TIME CyberMedia Pvt. Ltd. “Best Upcoming Young Researcher in Ahmedabad” for the year 2016 and I got "National Award"-PEARL Foundation Education Excellence “Best Assistant Professor Award in Pharmacy” for the year 2016. Also I got Best Young researcher and Best Poster Presentation,2nd Reproductive Health and Medicines, London I cracked GPAT (Graduate Pharmacy Aptitude Test-2013, AICTE) and got 12,400 INR stipends per month up to two years during the post-graduate course from the Indian government. Also, I have qualified NIPER-JEE (National Institute of Pharmaceutical Education and Research -Joint Entrance Exam), Mohali. Research Experience in the Bioanalytical department and published thesis. My thesis title is "Bioanalytical method Development and validation of Metaxalone in human plasma by LC-MS/MS". I have published research, review articles and letter to the editors in reputed international journals and pharmacy magazines and media like Elsevier's / Science Direct and OMICS group of journals and editorial board member as well as reviewers of repute. I have published article “A New looming of ZIKA virus” which under TOP 25 Most Downloaded article in Elsevier scientific journal/Science direct, APJR-(Asian Pacific Journal of Reproduction). Also, I have published Three books with ISBN.I have participated in National and International Conferences including paper and poster presentation. Furthermore, I have participated unique nation building initiative “Smart India Hackathon -2017” under Ministry Of Civil Aviation . •	Analytical Chemistry, bio-analytical and pharmacology and pharmaceutical science. •	Method Development, Method Validation and Project Sample Analysis by SPE (Solid-Phase Extraction) and LLE (Liquid-liquid Extraction) Method and Protein Precipitation method. •	Performed Operation, Maintenance and calibration of equipments (Vortexer ,pH-Meter, Analytical Balances, Micro & Multi Pipettes and Refrigerators). •	Maintenance of display labels, SOPs, charts and COLUMNS •	Handling of Working Standard and Reference Standard (WS/RS) •	Performed Operation, Maintenance and calibration of equipments (Vortexer,pH-Meter, Analytical Balances, Micro & Multi Pipettes ). •	To Method Development and Validation of drug and SIM (Stability Indicating Method) •	Lab Management. •	Handle HPLC,GC (Shimadzu ,Agilent –HPLC and GC-Chemito). •	Have fair knowledge about documentation and preparation of SOP’s. •	Basic Knowledge of Pharma Laws and Intellectual Property Rights (IPR). •	Can deal with requirements of GMP,GLP,GCP and ICH guidelines. •	Known with validation requirements and its documentations, IPQA requirements •	Excellent in MS-OFFICE, Adobe Photoshop. •	Fast & Accurate Typing with Great Presentation Skill. •	Great in Formatting and Managing Documents. •	Research ability and good grasping power to increase knowledge. •	Paper Publication with plagiarism . •	Herbal formulation or Herbalism. R&D Scientist,Insys Development Company, Inc.
Eshwaran received his Master’s degree in Chemical Engineering from Arizona State University, USA in 2015. His Master’s research focused on colorimetric plasmonic nanosensors for the detection of therapeutic levels of ionizing radiation. He has several publications in highly reputed journals such as ACS Nano and ACS Applied Materials & Interfaces. He is also a reviewer for many journals including International Journal of Innovative Research in Science Engineering and Technology, International journal of Pharmaceutics and Journal of Applied Pharmacy. Additionally, he is a member of the AIChE and IChemE, UK. At present, Eshwaran works at Insys Development Company, Inc., a specialty pharmaceutical company with a focus on providing therapeutic solutions to improve the lives of patients. Nanotechnology, Nanomedicine, Synergistic Cancer Treatments, Formulation Development, Design and development of Novel Drug Delivery Systems.